The blurb:After the 1st wave, only darkness remains. Now, it’s the dawn of the 5th wave. What did I think? 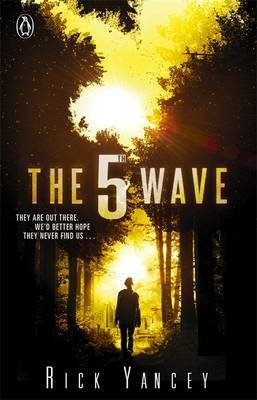 Overall I really enjoyed The 5th Wave, even though it wasn’t exactly what I was expecting. I haven’t read many books that shift perspective between several main characters and so at first, I found it somewhat difficult to get into. The flow just seemed to falter for me when the point of view initially shifted from teenage heroine Cassie, since I already felt invested in her story. Given that the others were not as charismatic and endearing to me, I found myself always hoping the attention would soon return to her. When the characters began to cross paths and their stories moved closer together however, it really picked up. It’s a strong, compelling work that handles a subject easily prey to the ridiculous in a capable and intelligent manner that makes you think about whether we really are alone in the universe and if not, do we even have a hope?